Hailing from Birmingham, Alabama was the blues singer Lucille Anderson, better known by her married name Lucille Bogan, or her commonly used pseudonym, Bessie Jackson. Born on April Fools’ Day of 1897 in Amory, Mississippi, Bogan is sometimes considered among the “big three” of blues singing, along with Ma Rainey and Bessie Smith (though I would argue that Lizzie Miles deserves a position among them). She was known for her unadulterated singing with lyrics ranging from raunchy to downright filthy, often much more so than those of her contemporaries. This record contains some of her tamer material, but there’s one record floating around out there with lyrics that would put some of the present day’s songs to shame for their “explicit content”. However, this is a family website, so I’m not going to go into detail on that one. Bogan died of coronary sclerosis in 1948. Oriole 8122, issued in their “race records” series, was recorded in Chicago sometime in March of 1930. It features Lucille Bogan under her typical pseudonym Bessie Jackson, accompanied by boogie woogie piano player Charles Avery. This record was originally issued as Brunswick 7210, this issue likely dates to 1931. First up, Bogan sings on the boogie woogie piece “Alley Boogie”, probably one of the earliest instances of a song title using the term “boogie”, following “Pine Top’s Boogie Woogie”. 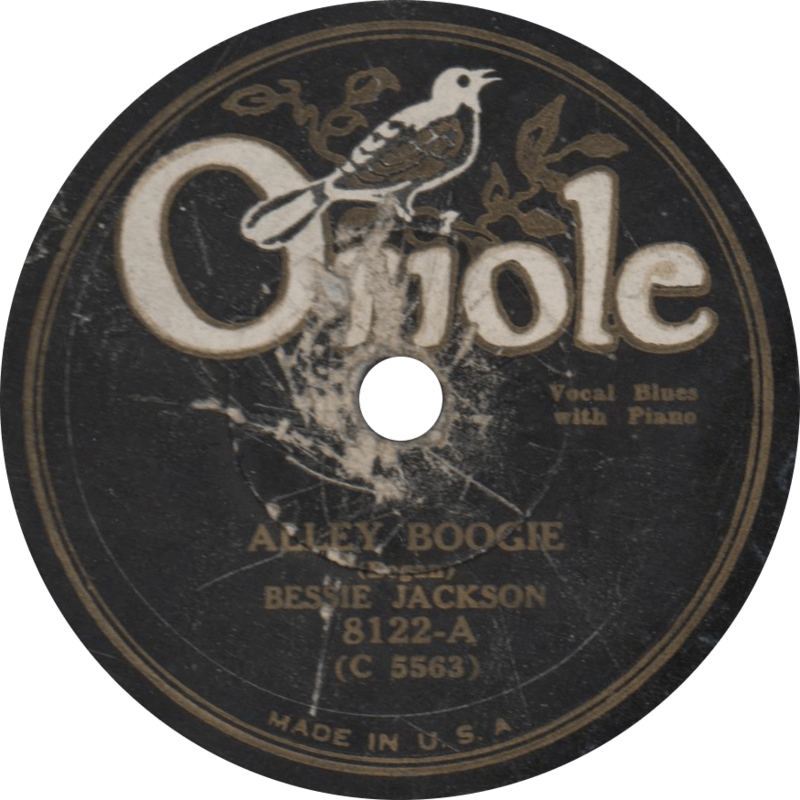 Alley Boogie, recorded March 1930 by Bessie Jackson. Labeled here as the “B” side, but generally and more properly serving as the “A” side on most issues of this pair is the quintessential “Sloppy Drunk Blues”, one of Bogan’s signature numbers. 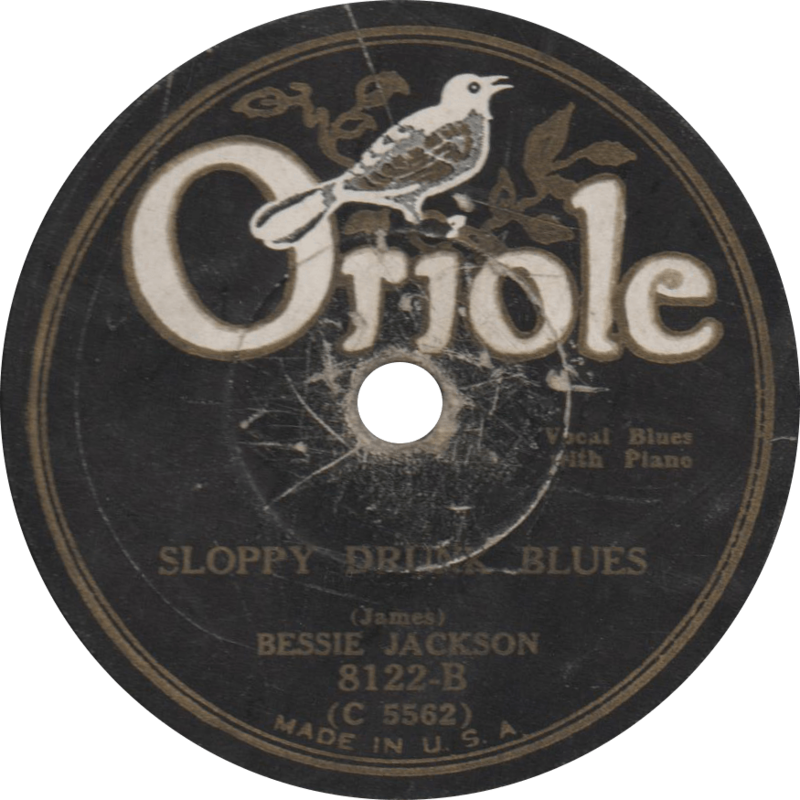 Sloppy Drunk Blues, recorded March 1930 by Bessie Jackson. This entry was posted in Records and tagged 1930, 1930s, ARC, Blues, Boogie Woogie, Brunswick, Charles Avery, Chicago, Lucille Bogan, Oriole, Race Record, Vaudeville by R. Connor Montgomery. Bookmark the permalink.